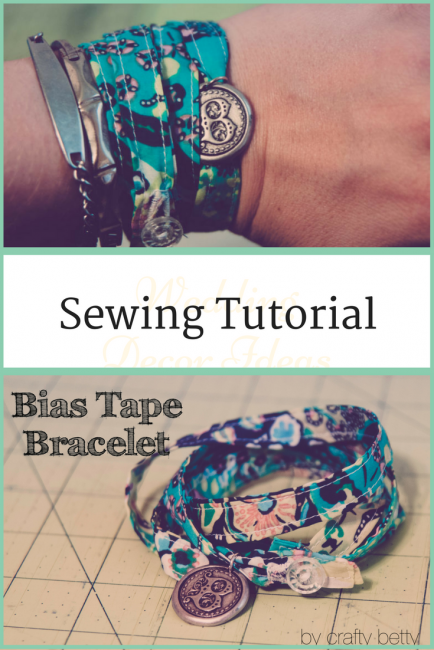 Bias Tape Bracelet Tutorial - Peek-a-Boo Pages - Patterns, Fabric & More! If you know me personally, you will know that I typically don’t wear a lot of jewelry. I have a few family rings that I always wear with my wedding band, and my anniversary earrings from Mr. B., but other than that I just haven’t. Until recently. 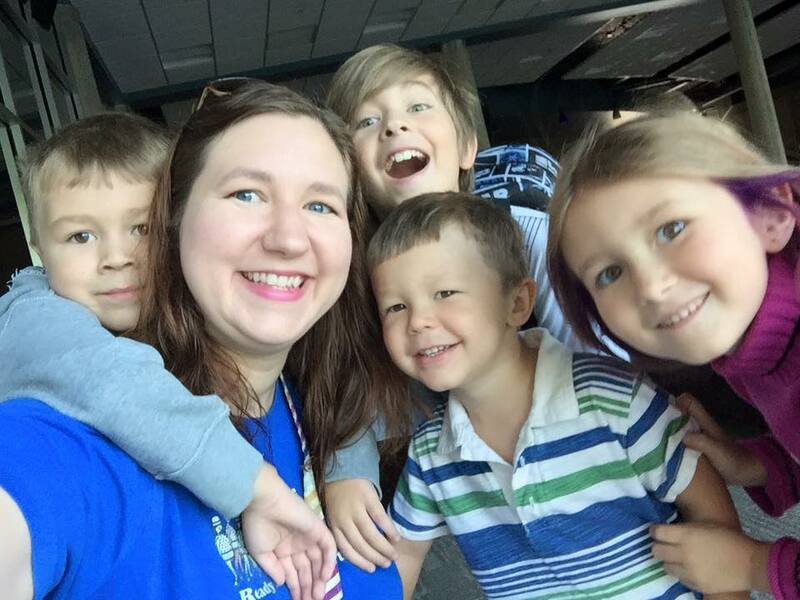 You see, having four children in five years will make a mama do things differently. That’s when I made a discovery about myself. Hang on – these don’t happen all that often. Jewelry, no matter how fancy or simple made me feel better about myself and honestly, more put together. I’m sure there’s some psychological explanation, but I don’t have one. I just know that if I throw on some earrings and a wrap bracelet with my jeans and wrinkled t-shirt, I feel better. I may not have gotten a shower, or had a pedicure in months, and likely need to see the eye brow lady, but I feel the teensiest bit closer to the mom who has it all together. 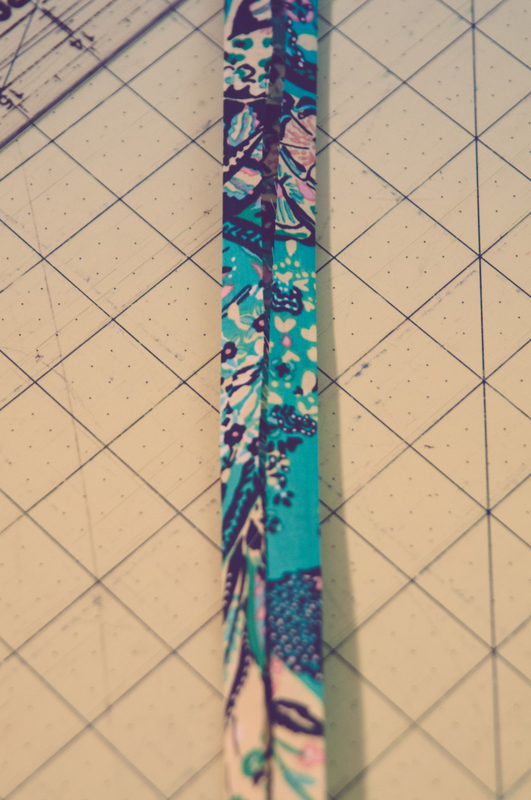 So, I thought I would share a simple tutorial for my own Bias Tape Bracelet that literally anyone can make. It has so much potential to be your unique expression of what makes you feel beautiful. Let’s get started shall we? This voile was left over from my cover up and it was just too divine to relegate to the scrap bin. 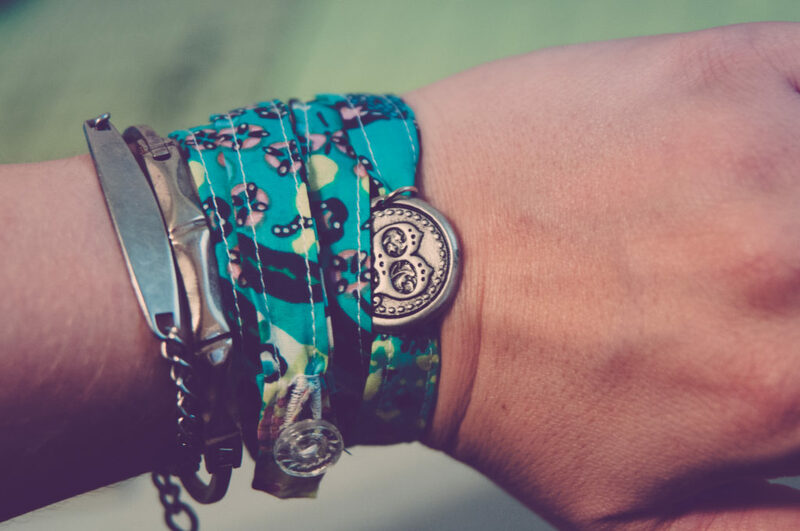 To measure your wrist, take the cloth measuring tape and wrap it around your wrist as many times as you would like your wrap bracelet to wrap. (can we add just one more “wrap” to that sentence???) 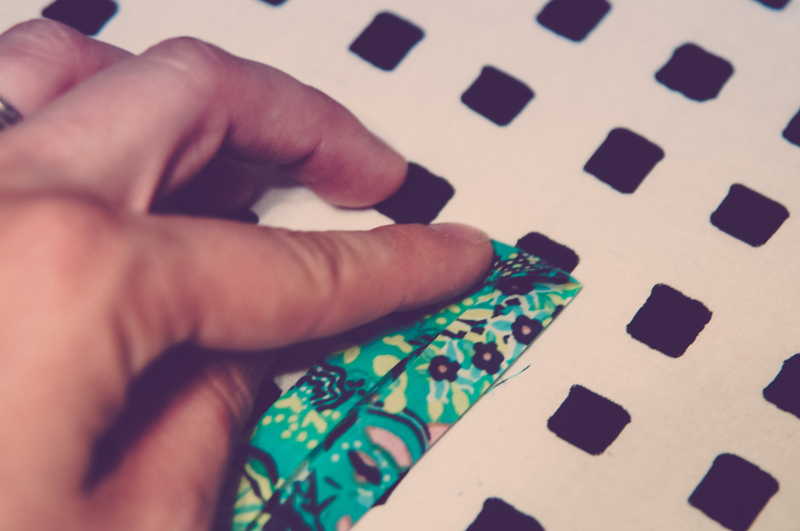 Keep this number because it will be how long you cut your strip of fabric. Mine wrapped 5 times and was 34 inches long. Yours will be different depending on the look you want. 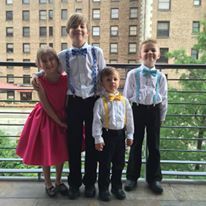 I chose to make mine long and skinny for a fuller look. 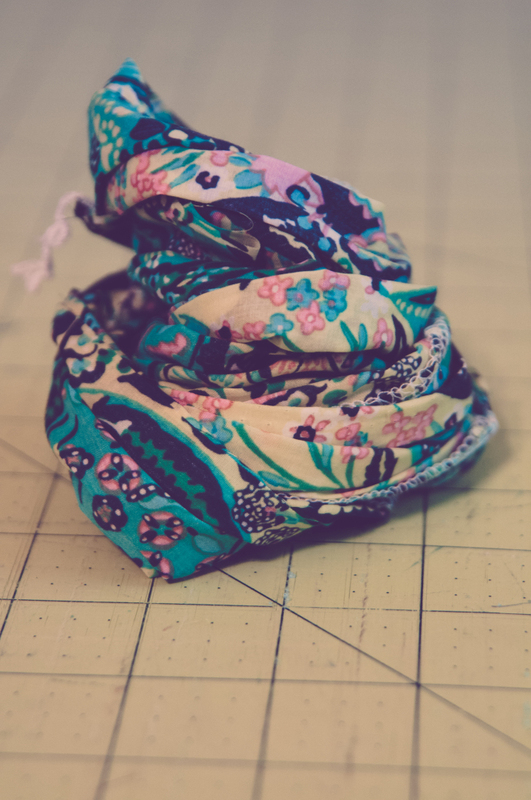 Just like bias tape for clothing or quilting, you will need to figure out how wide you want your wrap bracelet to be. Mine is 1.5” by 34” with a finished width of half an inch. 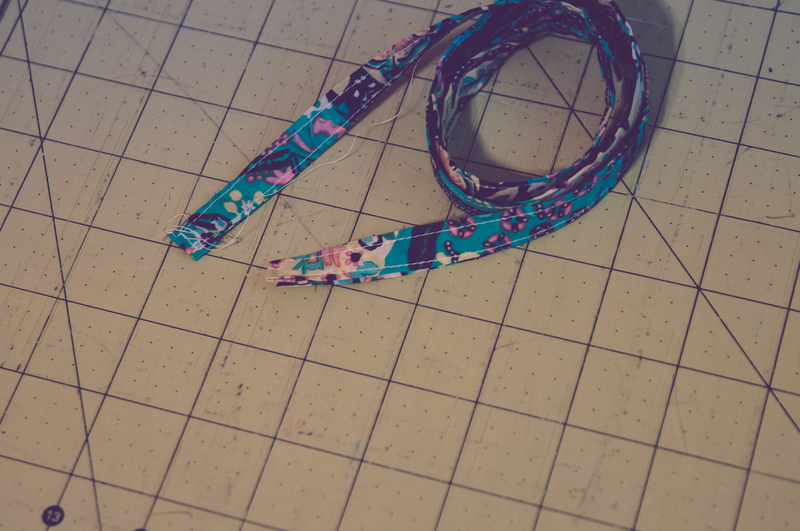 Cut your fabric strip and head on over to the iron. 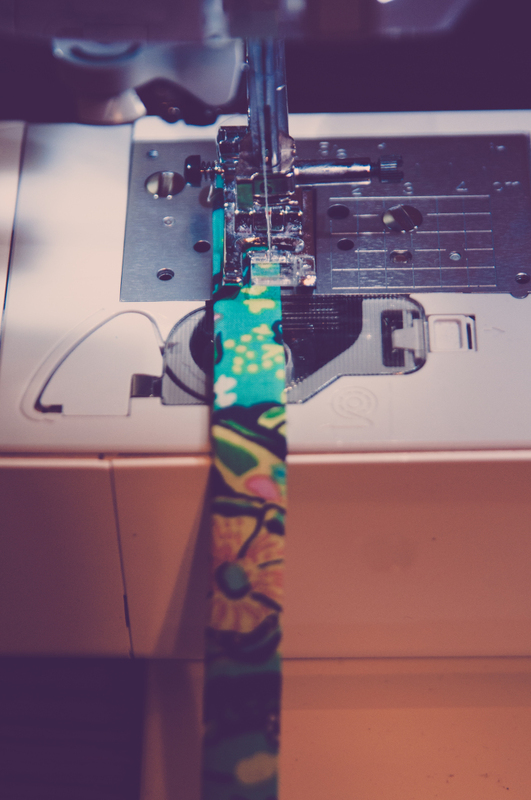 To turn our strip into a bracelet, it needs to be ironed in half the long way and then in half again. 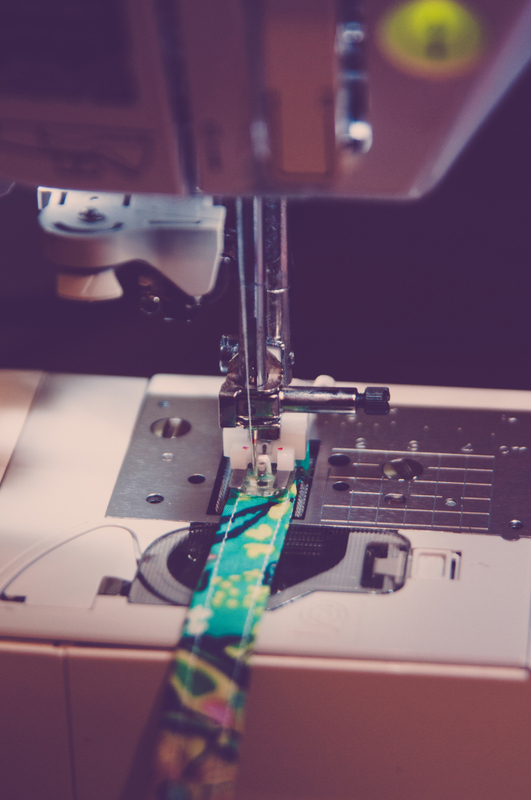 Use a bit of steam to iron it super flat and then hop on over to your sewing machine. Stitch as close to the edge all the way around. Get creative here. Your thread is a kind of decoration! Now comes the fun part of picking out just the right button. I have a tin that was gifted to me that is chock full of vintage buttons. I went with a shiny glass button. 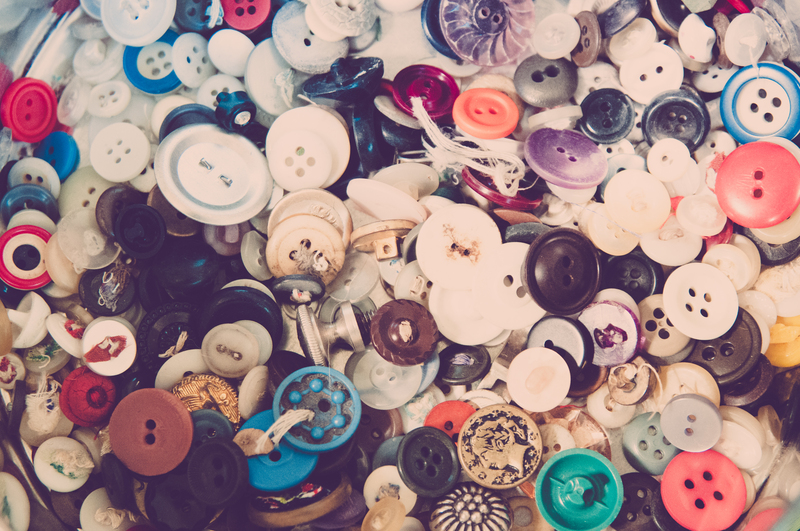 Now, gather up your courage – I’m going to ask you to sew a button hole. You know how to do it! If not, check out this tutorial and muster your courage! My fabric was a bit flimsy because of it being voile and all. If I used this fabric again, I would put a piece of tissue paper under my fabric to give my machine a bit more to grab on to. Next sew on your button. Test the location by wrapping your bracelet around your wrist as though you are going to wear it. I put my button on the opposite side of the fabric from to topside of my button hole. This is the way it wrapped around my wrist without twisting. Test it out on yourself to get it comfortable. 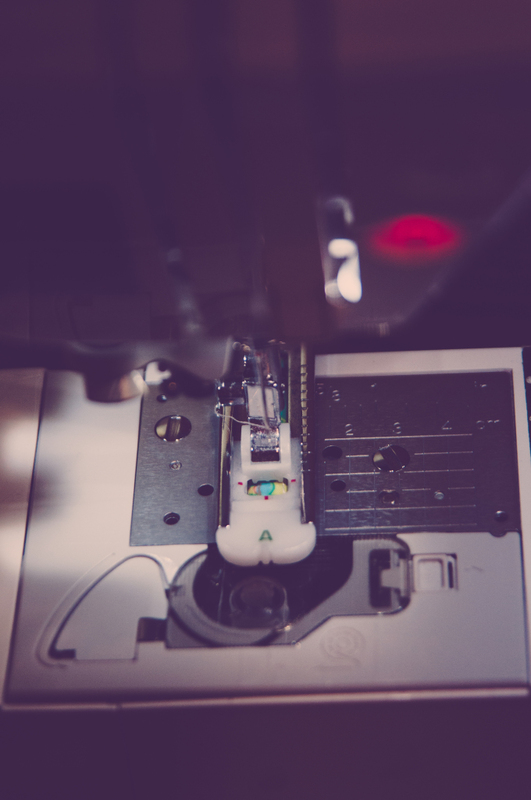 If you have dexterity issues in your fingers, a piece of velcro or even a snap could work in place of a button. 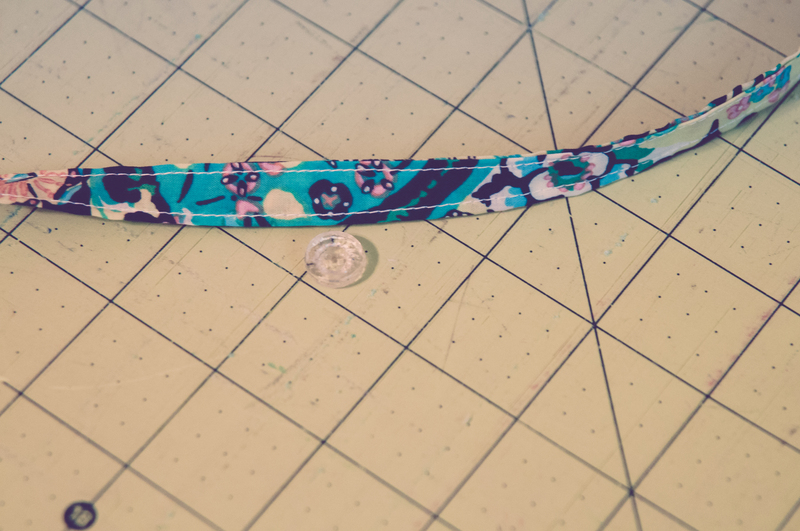 If you have a charm, slide it on your bracelet from the button hole end and put that baby on. Admire your handiwork and show all your friends! Now, even if you don’t get a shower today, slap on some lipstick and button up your Bias Tape Bracelet and conquer the world! You got this!